This event held at Raehills courtesy of Lord David Johnstone and organised and promoted jointly by LDNS, Scottish Land & Estates, Transport Scotland, and the Galloway & Dumfriesshire Deer Group, looked at the topic of deer vehicle collisions and deer management close to Scotland’s trunk road network. The presentations from Dr Jochen Langbein of Langbein Wildlife, Angus Corby of Transport Scotland, and Isla Davidson are available using the links. LDNS, in association with BDS and SNH, organised this event to assist deer managers and stalkers in knowing how best to assess deer and other herbivore impacts on their ground. 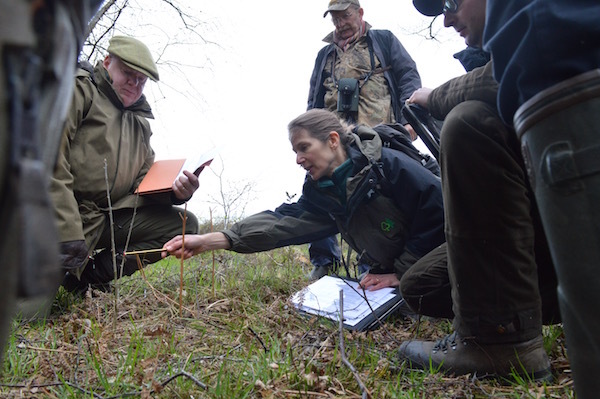 The day commenced awith a classroom presentation by Dr Helen Armstrong of Broomhills Ecology, followed by a visit to Flanders Moss for practical demonstrations. This event is intended to cater for both the novice and experienced stalker in interpreting the shot site and use of a dog for recovery. The UK Scent Hound Association (UKSHA) will provide a seminar on dogs for deer to include a morning indoor session on shot site examination and an afternoon on the use of a scent hound. For more information and costs to attend click here. A short, open LDNS committee meeting covering committee business, the latest information and discussion on Sporting Rates and the Deer Health Project, will be followed by an evening with Scott Country International, night vision and thermal imaging specialists. Ballistics, ammunition, and moves towards non-lead. 19 May 2017 Where the buck stops! 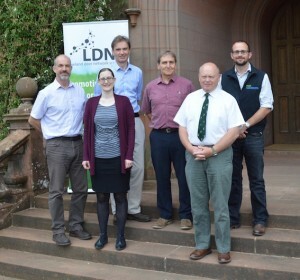 A morning seminar from 10.30 – 13.00hrs run by LDNS in conjunction with Scottish Land & Estates in conjunction with East Lothian and Edinburgh Deer Group at Gullane Village Hall, Gullane, East Lothian, on management of lowland deer around Scotland’s roads, deer vehicle collisions, responsibilities and recommendations. More information and details on how to register here . From 11.00 – 13.00hrs. Leapark Hotel, 130 Bo’ness Rd, Grangemouth FK3 9BX Agenda here . Note: This event is now fully booked. Further applications will be placed on a reserve list and notified should there be cancellations. A ‘pilot’ one day course highlighting the considerations and requirements for those engaged in the management of deer in and around towns, led by Andrew Treadaway, SRUC Barony College, drawing extensively on material from the publication Controlling Urban Deer by David Quarrell, Chair, SLDG. At the Ally McCoist Centre, East Kilbride from 10.15 – 15.30.More information and how to register here. 30 September and 2 October 2016 The UKSHA is staging two events in Scotland supported by the Lowland Deer Network Scotland on 30 September in Dalkeith, and 2 October 2016 at Strathdon. More information here . A Joint Lowland Deer Network Scotland – Scottish Land & Estates ‘Walk and Talk’ at Caddonfoot Hall, Clovenfords TD1 3LG, Yair Hill Forest and Torwoodlee and Buckholm Estates. More info. Awareness raising event targeting stalkers and deer managers in south Scotland and north England. Pre DSC level 1 education and awareness day organized by South Lanarkshire Deer Group. Information evening with South Scotland DMG to bring local deer managers up to speed with new legislation. Held at Carfraemill, Scottish Borders, and Aberdeen Airport Thistle Hotel in conjunction with Scottish Federation of Meat Traders Association (SFMTA) and the Scottish Gamekeepers Association.